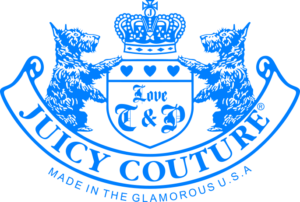 After years of working with companies like Kate Spade, Burberry, Liz Claiborne, Lucky Brand, and Stuart Weitzman Air Repair has truly established itself as a partner to High-End Retail Stores throughout NYC. Over 60 years we have developed trust based relationships some of the most elegant companies in the world. We always knew that just as the companies sell high quality products, there employees and customers deserve high end air conditioning services. That’s where Air Repair fits into the equation. You need great air conditioning services just like we need great customers. Installations for high-end retail stores in NYC have to be taken more critically than other installations. We have to make sure your systems are out of the way of customer interactions. From start to bottom it is crucial that your customers have an easy experience in the store. A bunch of mechanics working on an AC unit right next to a clothing display is just asking for trouble. That being said, sometimes you have no choice but that’s what Air Repair is here for. We do our best to make sure you have access to the most advanced systems to meet your needs. Replacing your air conditioning systems is a great way to save on future expenses, while welcoming upgrades to your facility in NYC. High-End Retail Stores can always benefit from decreased energy rates, and increased levels of worker productivity. This is exactly what you will get with an AC system replacement in NYC. Any interruption to the operation of your AC or Heating system opens up the possibility of customer loss. The higher end a store gets the steeper the demands for the experience will be. HVAC systems aren’t perfect, even machines with great maintenance will have issues from time to time. What’s important is that you have a trustworthy service like Air Repair you can count on. Installing high end heating systems for your retail store is an exciting venture. Deepening on the size of your store, and the average occupancy levels you have a great deal of choices to choose from. You can go with a standard heat pump system in order to achieve well rounded results. If saving money on energy rates is your main concern there are other systems you can choose from in NYC as well. Replacing your heating system is the first step in NYC to getting stronger results throughout the fall and winter. You can expect to save on your energy bills, and have a smoother running system, Call Air Repair today so we can discuss your heating system replacements. 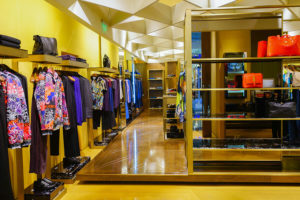 In High-End retail stores keeping the indoors smelling fresh and clean is harder with bigger HVAC systems in the mix. If you have central air, blow outs, and equipment washing is a great way to keep your stores in top condition. Without blow outs, and coil cleanings dirt, pollutants, and carbon emissions can get sucked into your system where they will stay and grow into bacteria. Cleaning this equipment’s on a regular basis is highly recommended. Call Air Repair today so we can show you how to keep your stores clean.